The Indian Real Estate Sector has witnessed transformative reforms in the last few years and now with the enforcement of the Real Estate (Regulation and Development) Act, 2016 the situation has come under control on account of the vigilant actions being taken and effective orders being passed by the Real Estate Regulatory Authority. That the errant builders who were earlier working as the land mafia are now under the direct control of the authority due to which there is a bar on the illegal activities which were being practiced earlier. Such a reform is quite evident in Gurugram, Haryana wherein in the month of September alone 52 notices were issued by RERA against various builders against the receipt of the complaints of the home buyers for the delayed possession of their homes. The builders are given time till October end to revert to the notice failing which strict action will be taken against them and in case the response is considered unsatisfactory heavy penalty will be imposed upon them. In case of any need the Authority will also recommend FIR’s against the defaulter builders. Whilst the builders are apathetic towards the plight of the home buyers the Authority is coming up with every possible relief to benefit the home buyer who has spent his entire life savings for the purchase of their home. The Real Estate Regulator Authority, Gurugram keeping in view the plight of the innocent home buyers who have spent their entire hard earned income in buying their dream homes and end up paying the EMI’s only, has set its priority towards the completion of the delayed projects so that the possession can be soon handed over. Real Estate Regulatory Authority was formed to address the grievance of the home buyers and in case no relief is given to them the entire mechanism of the Real Estate (Regulation and Development) Act, 2016 will fail miserably. RERA, Gurugram keeping in view the same motto has stated that strict action will be taken against those who will not comply with the authority’s regulations. 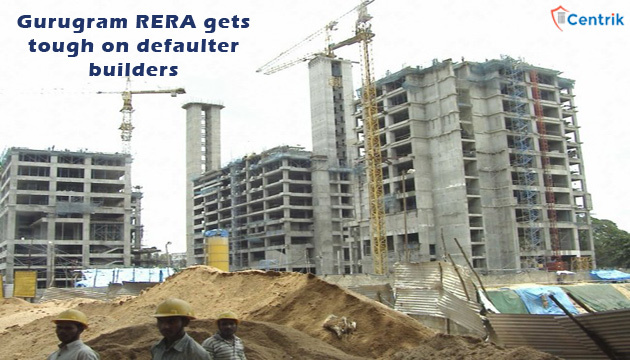 RERA, Gurugram since its establishment has taken serious action against many builders and further aim to take action in a more streamlined and stricter manner so as to diminish the unlawful activities in the real estate sector.